While the Albany office covers the 11 county geographic area of the Capital Region, the Capital District, as it is commonly referred to, encompasses the cities of Albany, Schenectady and Troy and is home to more than one million people. With its proximity to major Northeast markets, a highly qualified workforce, outstanding educational opportunities, a stable business environment, and an excellent quality of life, the area is considered to be the state’s most affluent metro area outside the NYC metro region. A rapidly growing and economically significant area just to the north of the immediate Capital District is Saratoga County, home to Global Foundries, which began construction in 2009 on a new $4 billion manufacturing facility. Along with the SUNY at Albany’s College of Nanoscale Science, the region encompasses a growing R&D presence for the Capital District, also home to more than 250 scientists, researchers and engineers for companies like IBM, AMD, Sony, Toshiba, Qimonda, Honeywell, ASML and Applied Materials. The Capital Region is also home to the GE Global Research and Development Center, as well as a Schenectady based plant that is home to 3600 employees. 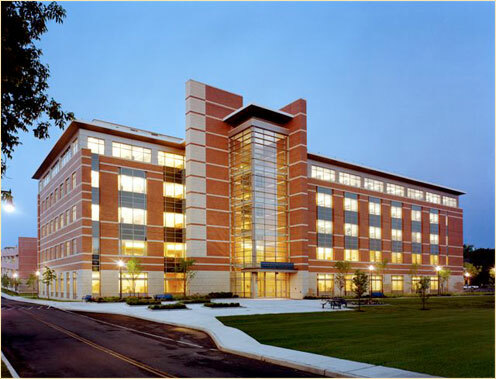 Knolls Atomic Power Laboratory is a world-class research and development facility dedicated to the support of US Naval Nuclear Propulsion Program with 2 plants employing over 2600. Lockheed-Martin, whose core business focuses on Aeronautics, Electronic Systems, Information Systems & Global Services, operates out of two locations in the Tech Valley. Albany’s strategic location in the state gives the area its place in history as an early transportation, trade and industrial center. Three interstate highways, fast rail service, a year round deep water port and an airport with direct air service to major cities continues to provide convenient and efficient access to the markets of Northeastern United States and Canada. There are 22 Colleges and Universities in the Capital Region with a combined student population of over 72,000 and an economic impact of over $200 million. The largest, the State University of NY at Albany, boasts more than 18,000 full-time students and along with students from Rensselaer Polytechnic Institute, Union College, Albany Medical College and Siena College, lend a college atmosphere to the legislative flavor of the Capital. Located just south of the Adirondack Mountains and just north of the Catskill Mountains, the Capital Region is abounding with year round recreational activities and enjoys 4 season tourism with over 14 million annual visitors. Attractions include the 6.1 million acre Adirondack Park, Lake Placid Olympic Village, skiing at Whiteface and Gore Mountains, and of course, for the horse enthusiasts, the historic Saratoga Race Course. In 2010, Albany was ranked ninth by Forbes as one of the best places in America to raise a family, 15th on the List of America’s Most Innovative Cities and in the top thirty on the Best Bang-for-the-Buck Cities. New Geography ranked Albany in the top twenty Best Medium Cities for Job Growth. Portfolio.com places the capitol region in the top twenty-five best markets for young adults. Albany ranked among the top 21 strongest performing metro areas according to Brookings and number ten on the Green City Index according to American City Business Journals. The Capital district includes the following eleven counties: Albany, Columbia, Fulton, Greene, Montgomery, Rensselaer, Saratoga, Schenectady, Schoharie, Warren and Washington. Columbia and Greene counties, considered part of the upper Hudson region as well is also served by Pyramid’s Hudson Valley office. Pyramid’s Utica office also serves Montgomery County, considered part of the Mohawk Valley region.